I always love it when I discover unusual things about Arizona and its surrounding states. I was watching a show about abandoned places and structures on the Science channel. They noted the history of how these things began, and what happened to them. 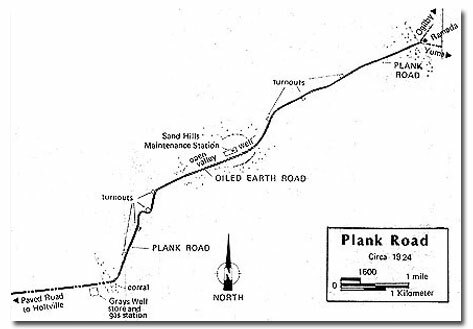 I thought the story about the OldPlank Road was fascinating. The Old Plank Road was constructed in 1915 by a businessman and road builder “Colonel” Ed Fletcher. It stretched over the Algodones Dunes in an east-west direction from southern California into Arizona. 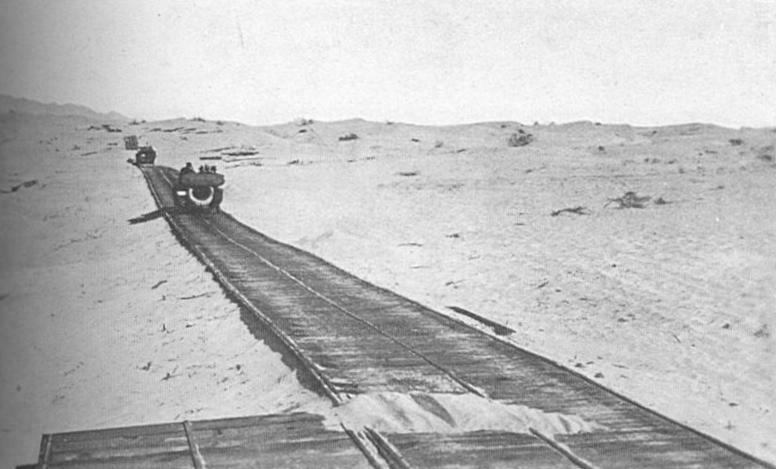 Basically, it was the means of travel between San Diego and Yuma. 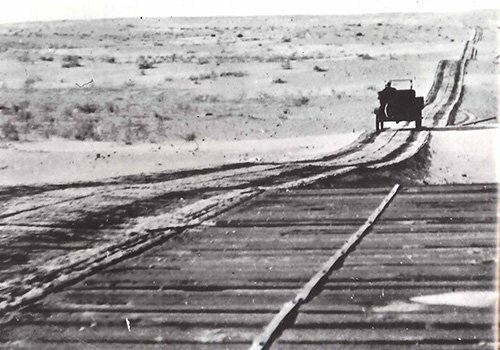 In the early 1900’s, San Diego wanted to be known as the pivotal part of the southern California’s roadways since Los Angeles was the last stop for the transcontinental railroad. Ed Fletcher was called to task by the Los Angeles Examiner, and was up for the undertaking. In October of 1912, he and a reporter would run a road race to determine what was going to be the finest path to take between southern California and Phoenix. Fletcher chose the area through the sand dunes with its unstable landscape. He had a team of horses dragged his car through the unforgiving sands and won the race in about 19.5 hours. With the support of the newspaper, he procured enough money to buy 13,000 planks for his road. 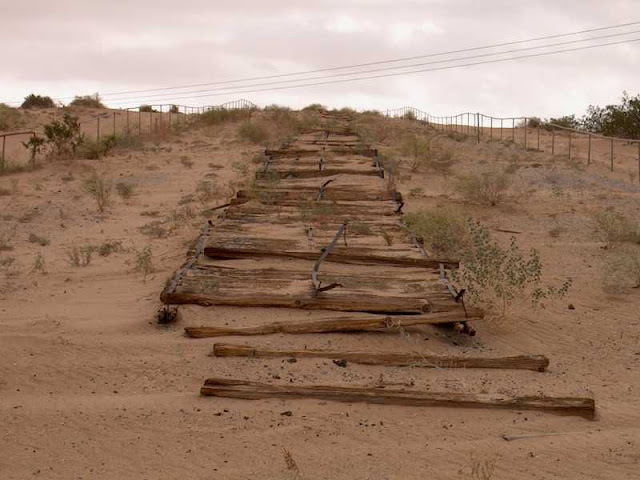 They started laying the planks on February 14, 1915; two parallel plank tracks, 25” wide, spiked to wooden crosspieces which were placed beneath the planks. Some of the workers were paid, but others were volunteers. It took two months until completion and was about 6.5 miles long. The road took a beating with the mule-drawn scraper that constantly tidied up the ever blowing sand, but still was thought of as a momentous achievement. A year later, improvements were constructed on the road with 8’ wide manufactured wood sections and at every 1000 feet they doubled the road width for turnouts. The sections were put in with a crane and brought on site by horse-drawn wagons. For over 10 years, the maintenance staff did their best to keep the plank road opened, but the harsh blowing sand made it impossible. Because the road only allowed one car at a time, that was a problem too. On August 12, 1926, a 20’ wide asphaltic concrete roadway was built on the uppermost region of the sand embankment to replace the Old Plank Road. The road was named U.S. Route 80 and later became Interstate 8. 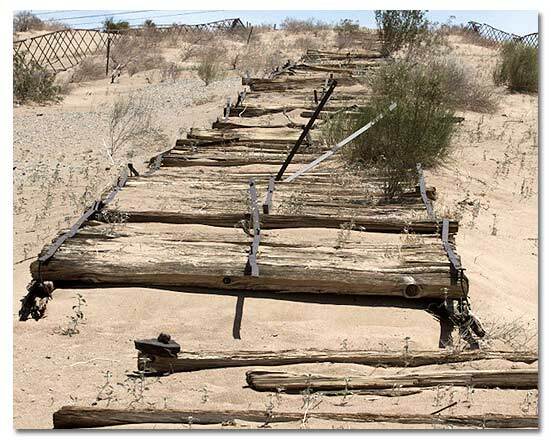 Today, there is only a portion of the old road that lingers in the sandy desert and is safeguarded under the jurisdiction of the Bureau of Land Management. What is left of the old road can be seen on the frontage road south of I-8 and west end of Grays Well Road. There is also a 1500 foot monument of the road constructed out of the remaining fragments.